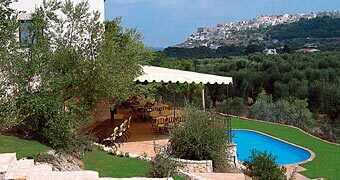 The Agriturismo B&B Poggio di Luna is a gourmet estate deep in the Peschici countryside and just minutes from the seaside, where you can taste the best of Puglia's traditional cuisine and relax under the shade of monumental olive trees. 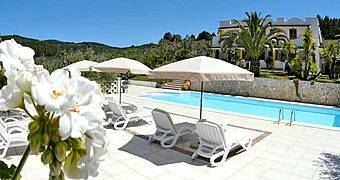 An itinerary including some of the region's most celebrated cathedrals and churches. 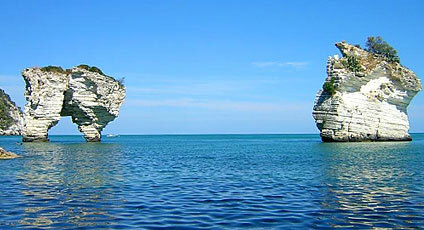 The Gargano is an "island of nature", a promontory surrounded on three sides by the Adriatic sea and backed by the Tavoliere delle Puglie. 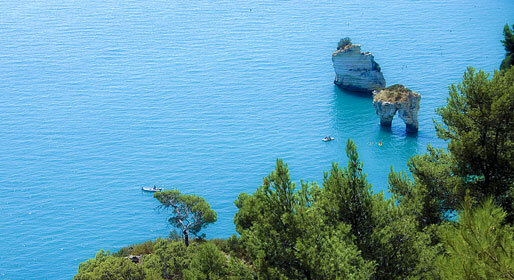 The Gargano National Park is a natural paradise, now a protected area, which comprises forests, the most famous of which is the Foresta Umbra, lagoons, ragged coast lines, sandy beaches and vast stretches of Mediterranean vegetation. There are many towns to visit, each with its own special appeal. 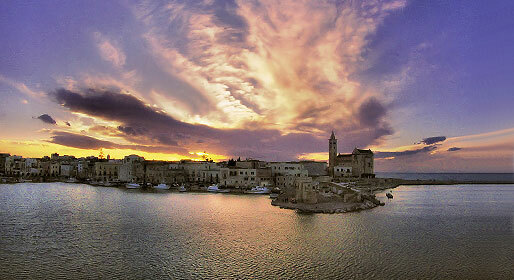 Along the coasts there are Mattinata, Manfredonia, Vieste, Peschici, and Rodi Garganico. Inland one finds the towns of Carpino, Ischitella, Cagnano, Varano, San Marco in Lamis, Rignano, Garganico, and Sannicandro. Offshore there are the Tremiti Islands. Then there are the sites which, since Medieval times, have been of great religious importance: the Via Sacra dei Longobardi, the Great Abbeys, St Leonardo di Siponto, St Maria di Pulsano, St Maria di Kalena, Mount St Angelo, St Maria Maggiore, St Giovanni Rotondo. 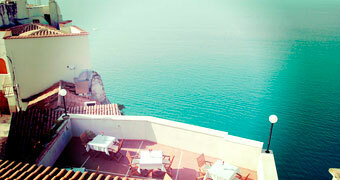 Not surprisingly, Gargano has become an International tourist destination. One of Italy's largest protected areas, with primeval forests and marine reserve.